Categories: New products, Textile. 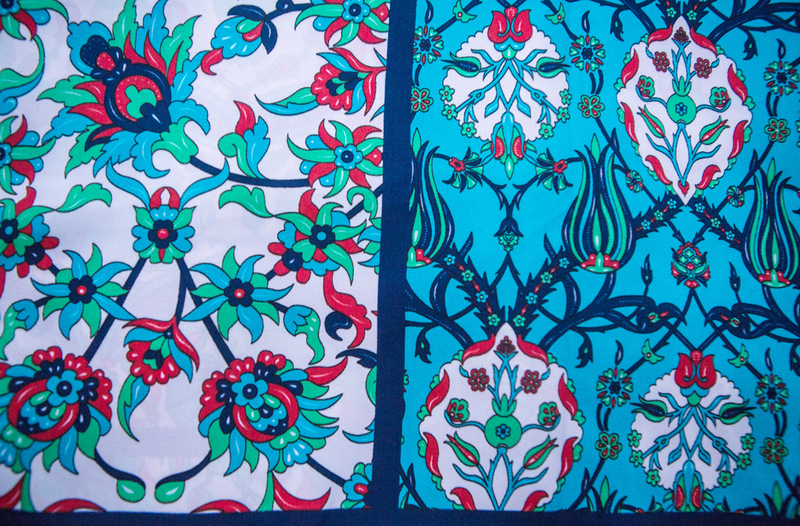 Tags: scarfs, Turkey. 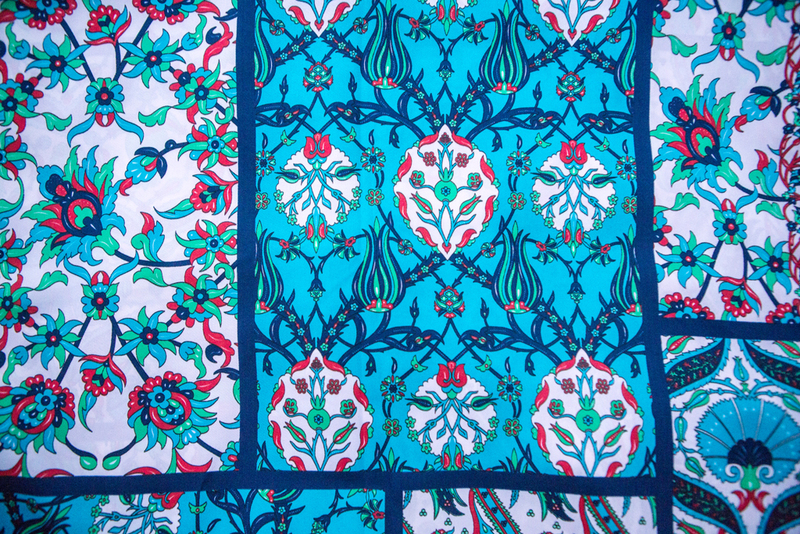 This long scarf with a traditional Turkish tulip ornament, and the classic colors – red, blue and white, can be very useful for creating a fresh vivid look. 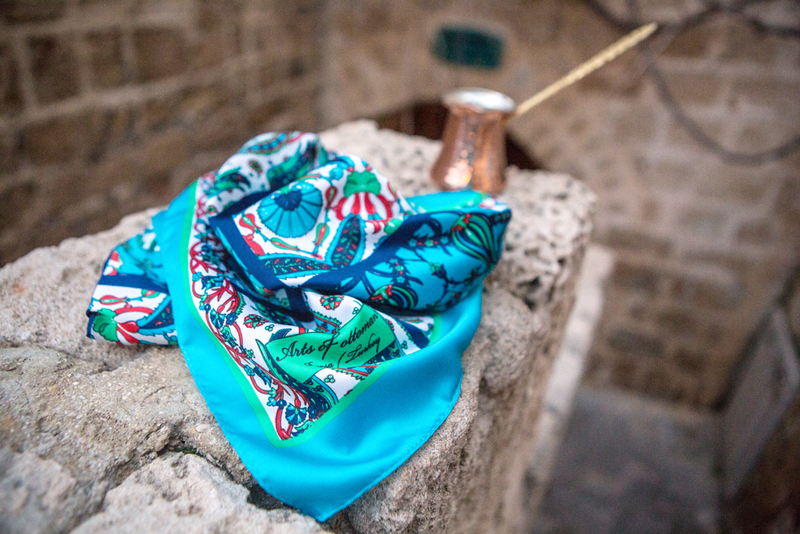 The scarf can be worn with white or colored shirts, jackets or tied as a turban on one’s head. For a long time, the export of silkworms from China was punishable by death . However, two Greek monks managed to steal few caterpillars and smuggle them out of China. One could say it was the beginning of silk weaving prosperity in the Asia Minor. Over time, the whole “silk cities” formed, such as Bursa, Smyrna and many others. 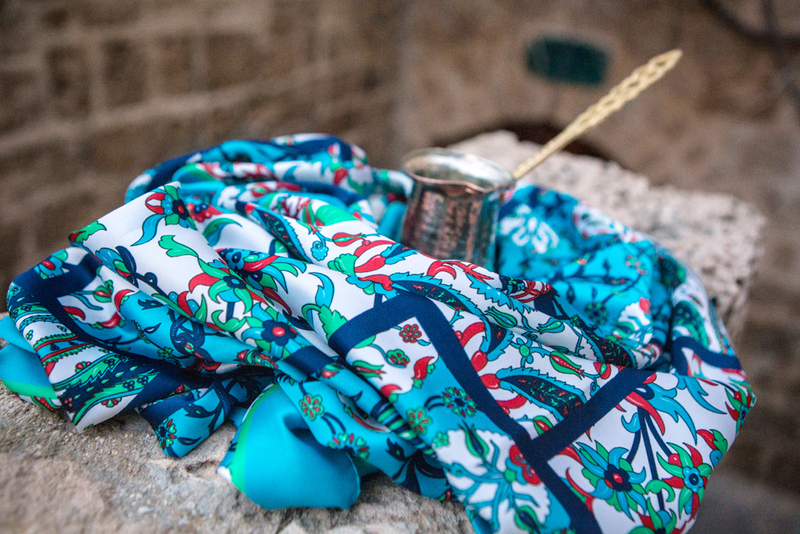 For centuries, Turkish silk has been considered to be one of the highest quality, the brightest and the thinnest. 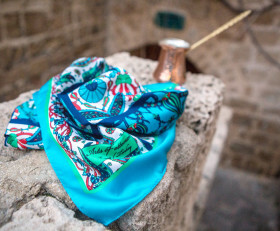 Turkish masters have brought their unique patterns and national elements to the production of silk shawls , scarves and wraps.